Could it be the production LF-1 Limitless? Out of nowhere, Lexus has dropped a teaser for a new vehicle to be revealed very soon. And it sounds like it's not just any model addition. The company describes it in press releases as its fourth flagship and as a "one-of-a-kind." The other flagships the company refers to are the LS sedan, LC coupe and LX SUV. Unfortunately for us, it's darn difficult to tell what the teaser is of. All we can really make out are the colors of a dark bronze and piano black. There's also a silver cylinder just standing at the edge of the image. There aren't any lights or door handles or other visible vehicle parts. Still, since Lexus refers to it as a new flagship, we presume this teaser is of a new vehicle. While the brand may seem to have a full flagship lineup among the three aforementioned models, one of them is increasingly an outlier: the LX. While it is indeed a top-rung SUV, its body-on-frame construction and off-road capabilities make it less of a real on-road competitor to new flagship crossovers such as the new Audi Q8 and upcoming BMW X7. 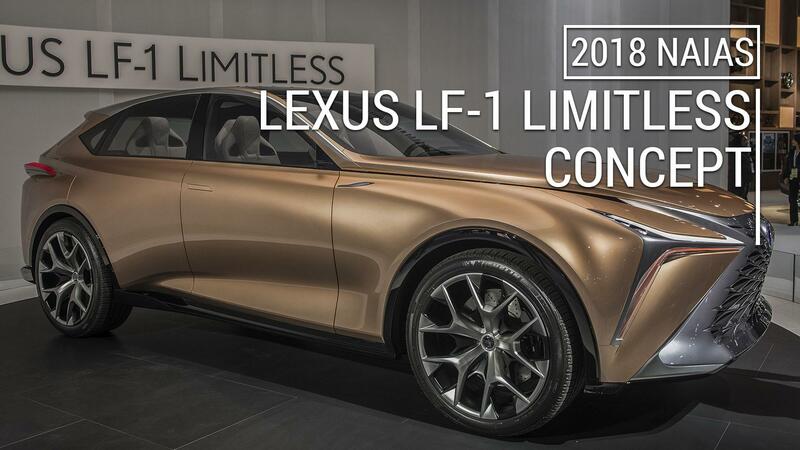 As such, we have a feeling the teaser could be to a flagship crossover, and it will probably be based on the LF-1 Limitless concept shown at the 2018 Detroit Auto Show. The company has already expressed a strong desire to produce something like it. It seems like a pretty safe bet unless this all turns out to be a corny branding exercise in which Lexus launches a cologne or stereo system inspired by its flagship cars. At least we won't have long to learn what the mystery product is, since the company said more information would come 24 hours after the teaser dropped.